Make healthy fruit and vegetable juices in a quick, no fuss way! We all know the health benefits of having a glass of fruit or vegetable juice every day, but the task of squeezing out the juice with regular juicers and cleaning up afterwards leaves us cold! 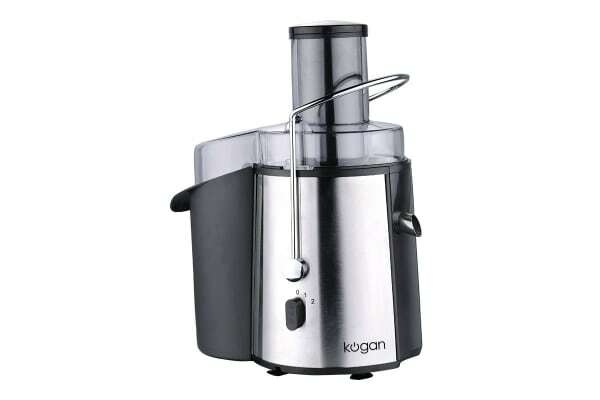 Open up to the idea of healthier living with a little help from the Kogan 850W Centrifugal Juicer. 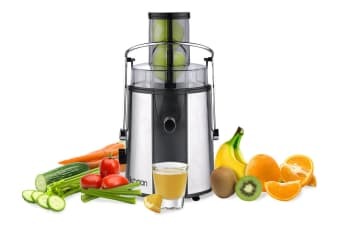 Making juices with centrifugal juicers is easier and quicker because all you need to do is just roughly chop your fruits and vegetables into larger pieces before adding them in. Centrifugal technology makes sure that none of the expensive fruit is wasted and your juice comes out tasting really fruity without being thick or sludgy. And if you need juices extracted from the rind and cores of fruit for certain health drinks, then this juicer does that job to perfection too! 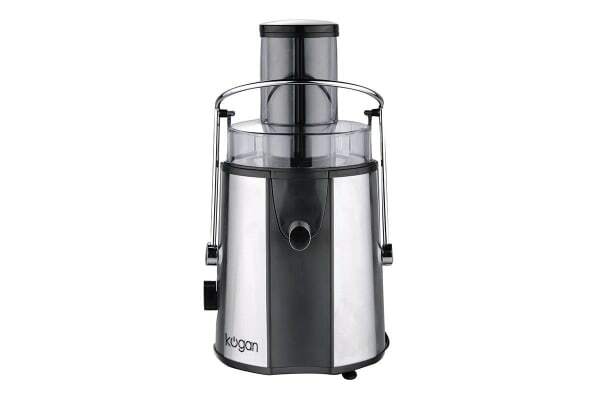 The Kogan centrifugal juicer houses an 850-watt motor and has two speed settings to allow you to get the most from all types of fruits and vegetables. At a low-speed setting, it is suitable for juicing soft fruits and vegetables like kiwi fruit, melons, and tomatoes. For harder fruits and vegetables like pineapples and beets, select the high-speed setting and watch the centrifugal juicer swiftly extract a glass of healthy juice for you! Don’t let the worry of cleaning up deter you from getting that glass of healthy juice. The detachable parts on this juicer are dishwasher safe and extremely easy to clean! just what I wanted! great price too! I used the juicer for first time and it was very efficient.